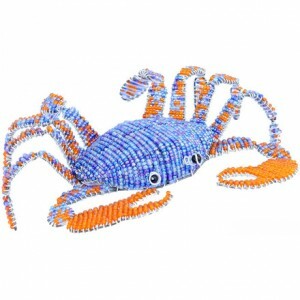 Crabby Beadworx by Grassroots | J.O. Spice Company Inc. The crabby Beadworx products are so cute! The pictures really don’t do them justice. You really want the flip flop garden stakes in your garden. They are awesome. 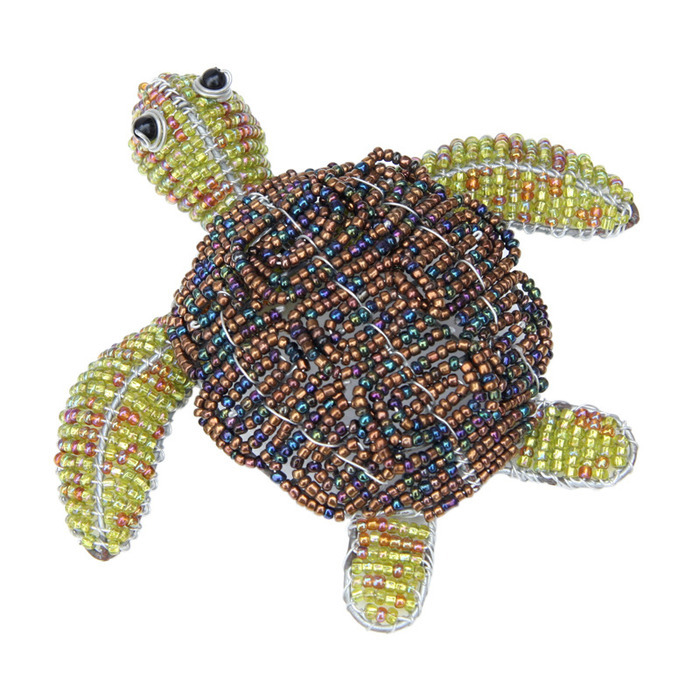 The turtles are perfect on the wall in a set of 3 or just sitting on an end table or your desk. Then there are all the different crab sizes and the blue and orange crab is adorable. The crab garden stakes are very cool. 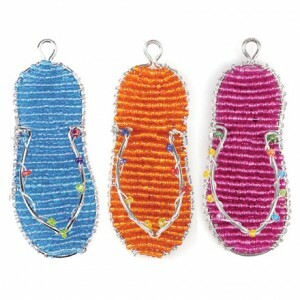 The flip flop key chains are a must have and they are in so many different colors, buy one for every key set you need! Beadworx by Grassroots is a true craft that can only truly be appreciated as you look at the wonderful products. After reading their website, and then checking out the products, you see how the wire bending would be difficult and intricate, requiring great strength and skill. These products bring steady work and income to hundreds of people who had no prior opportunity to create stability for themselves and their families. When Ginger saw the crabby Beadworx products and heard about the company, their business, and how it all came to be and who it supports, she had to bring in this line! 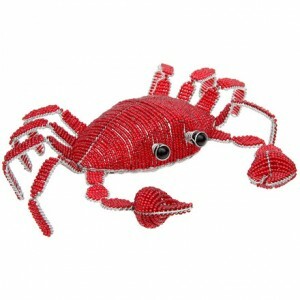 These crabby Beadworx products are great for gifts! They are so cute, you don’t even have to be a collector of sea life or flip flops to enjoy the intricacies. You’ll just pick one up because it’s fun to look at and it will make you smile. Who doesn’t want to smile when they are sitting at their desk? Great for crabby co-workers, crabby bus drivers, crabby mailmen, crabby in-laws….whoever needs a smile, a pick-me-up or ask us to wrap it up for a great birthday celebration!